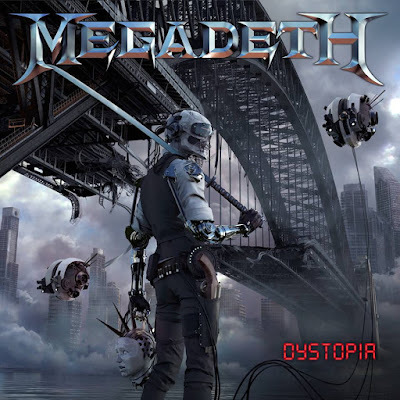 “Dystopia” is one of five tracks featured in a virtual reality experience available to fans as part of a companion project to the record. The footage will then provide fans with the opportunity to virtually enter, engage and explore this parallel world with the help of “Dystopia”, a CEEK Virtual Reality cardbox headset and a download code to access and unlock the exclusive content. Megadeth recorded their 15th studio effort in Nashville, TN last year. The group will launch a North American tour with guests Suicidal Tendencies, Children Of Bodom and Havok on February 20 in Dallas, TX.